Lip Sync for your Cosplay! Two Performers. One stage. Can you outperform your opponent onstage against ANY Love Live Song? Own every move to Hatsune Miku’s routines? Can deliver Fantastic Baby better than anyone else? Jez Roth invites you to Vogue. Serve. Werk! 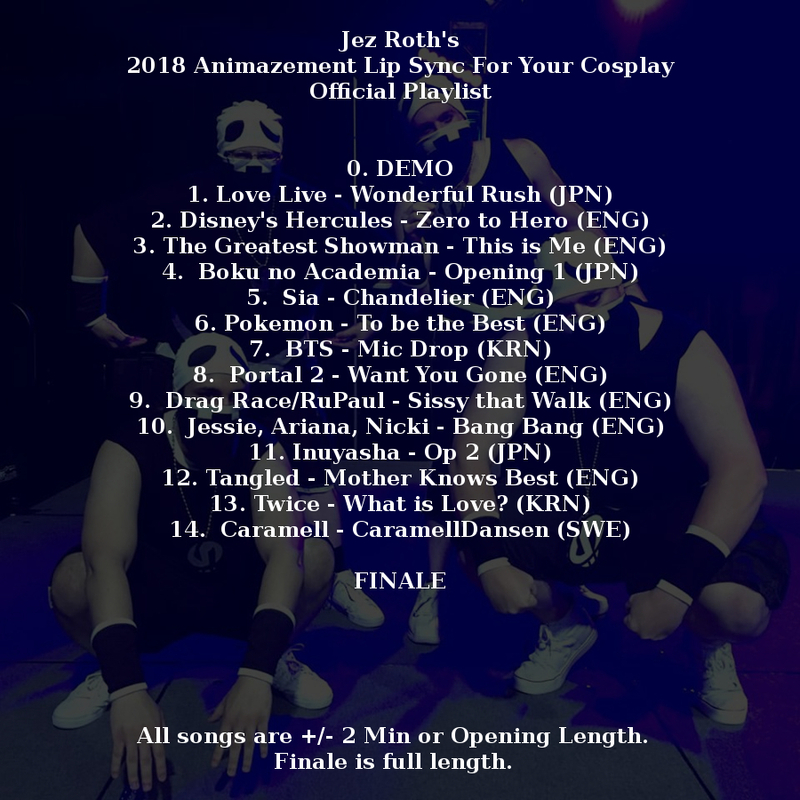 By popular request, Animazement is excited to be hosting Jez Roth’s Lip Sync for Your Cosplay for the FOURTH year! Do you get your life from performing? That rush of getting onstage and being fierce? Then you’d better WERK! Lip Sync for Your Cosplay is the high-energy, heads-up dance battle competition where you show us what you’re made of! For each round, a different song will be announced (the playlist will be posted here a few weeks before the convention). From a show of hands, two people are randomly picked from the audience to battle against each other in a two minute competition. They each share the stage and once the music starts, they lip sync, dance, perform, and SERVE the audience in a battle of performance, each fighting to keep the attention on them. Grab that costume, get dressed, and get ready to either perform or support the performers!